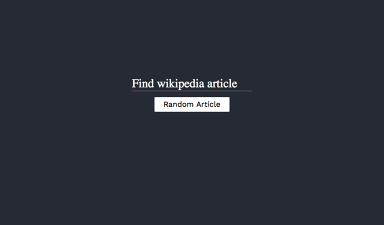 Here’s my wikipedia API project. Never got a feedback, cause this is the first time, I’m posting my code online. Would love to get some opinions from experienced coders.